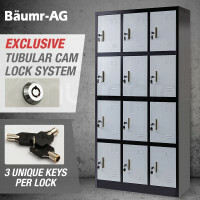 Keep all your belongings safe with Baumr-AG Gym Lockers, offered exclusively online at Mytopia. 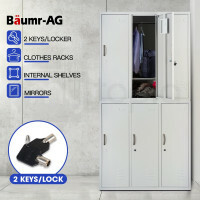 Perfect for gyms, health spas, schools and offices, Baumr-AG Gym Lockers are the ultimate solution to keeping your personal items sound and secure. Featuring solid cold rolled steel construction for optimal durability, these heavy-duty gym lockers feature a superior tubular cam-lock system for bolstered security. Each of the 12 lockers come with 3 unique keys per lock, label spaces, and air vents for mould prevention. People can put their mind at ease knowing their valuables are stored in a Baumr-AG Gym Locker. Available in solid grey and two-tone black grey, these door lockers combine chic design with quality construction. Round up all your fitness needs with Mytopia’s extensive line of Cross Trainers, Treadmills, Exercise Bikes, Spin Bikes, Rowing Machines, Bicycle Trainers, Electric Bikes, Weight Benches, Yoga Balls and Inversion Tables. Reliability assured, all Baumr-AG Gym Lockers are backed by an Australian standard warranty for private use. 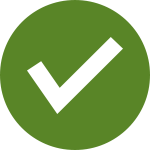 Mytopia guarantees fast and easy delivery anywhere, whether you’re in Sydney, Melbourne, Perth, or the Outback. Keep your valuables under lock and key. 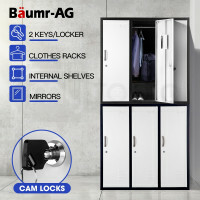 Buy a Baumr-AG Gym Locker today.